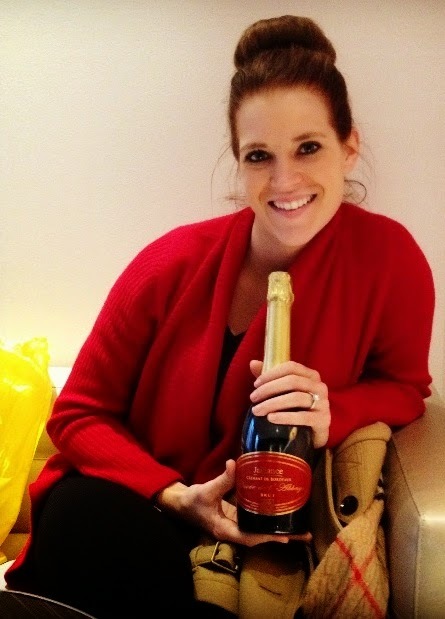 Samantha Angell: Travel & Lifestyle Blog: Wednesday Wine 101: Champagne Time! Wednesday Wine 101: Champagne Time! 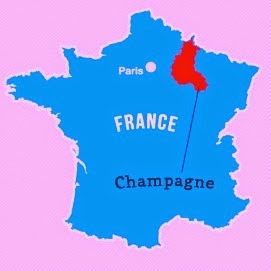 Firstly, champagne is only champagne when it comes from Champagne, France. While there are certainly other wines with bubbles or frizzante, and even wineries that will say they produce champagne, it is not champagne unless it is from Champagne. 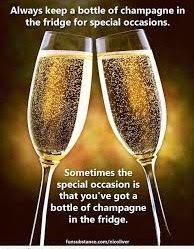 Any other 'champagne' is a variety of sparkling wine. Throughout the world, different regions have created different names for the sparkling wines that they produce. Spain produces Cava, Italy produces Moscato and Prosecco, and South Africa produces Cape Classic sparkling wines. Champagne should always be served in taller, skinnier glasses with a small mouth- these glasses are called flutes. Wide-brimmed glasses will cause champagne to lose some of its bubbles more quickly, depreciating the taste! Brut: the most commonly produced champagne. Brut will be the driest tasting champagne, unless you go for an extra-brut. Extra-dry: Strangely enough, extra-dry will be slightly sweeter than brut or extra-brut champagnes. Sec: Sec will be a slightly sweeter version of champagne, while still having a medium level of dryness. Demi-sec: Demi-sec is the sweetest champagne currently produced. Other interesting things to note about Champagne are that non-vintage champagnes are produced from a blend of wines from several years. Vintage champagnes are produced solely from one year's harvest, usually only after an exceptional growing season. Most champagnes are created using white Pinot Noir grapes. Rosé champagnes blend red and white grapes, and Blanc de Noirs are made exclusively with Chardonnay. These base wines will create the foundation, which is then bottled with yeast and sugar, producing CO2. By law, Champagne will then be aged at least 18 months, in which the bottle is stored with the neck down at a 45 degree angle, allowing yeast to collect in the neck. Riddling is a technique where the bottle is turned to move the yeast into a cap near the neck. After aging, the bottles are relieved of yeast sediment by a process called discouragement. During discouragement, the bottle is turned upright, the cap removed, and the CO2 pressure will expel the yeast cap along with a little champagne. Finally, a dosage of wine, sugar, grape juice, and brandy is added. The amount of sugar indicates whether the final champagne will be brut, extra-dry, sec, or demo-sec. Finally, the bottle is sealed with a cork and ready to be called champagne! Champagne is great by the fireplace! Of course, champagne is great fun to celebrate an engagement! Nick and I definitely enjoyed playing with champagne for these pictures! to the US & Sweden-everywhere I've been its wonderful! Champagne is always best when accompanied with great company! And there we have it, with everything- and more- that you have ever wanted to know about champagne! What would you like to learn about next week on Wednesday Wine? 52 Weeks // One Year! Wednesday Wine 101: Day One!